Canadian Mortgages, Insurance, Investment, Tax Planning: What is a Mortgage Broker? A mortgage broker (or mortgage consultant in some jurisdictions) is an independent agent, an intermediary between you the consumer and the mortgage lender. The mortgage broker will shop the available lenders to find the mortgage product that offers the best combination of features, options and rates to suit your individual circumstances. The best part - depending on your credit picture - there is no charge to the consumer for the service! 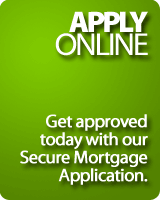 The mortgage consultant’s fee is normally paid by the lender. With the fluctuation in interest rates of late, homeowners have become more aggressive in seeking out the best possible terms from a lender. The appeal of a mortgage consultant lies in the opportunity for you to effectively search a large segment of the mortgage industry for the optimum terms, rather than negotiate personally with only one or a few lenders. As a result, the popularity of mortgage brokers is growing - more mortgages in Canada are being concluded through a mortgage broker than ever before. A mortgage consultant can also be an independent source of information and an unbiased help in wading through the myriad of options available in the mortgage industry today. Wondering about the advantages of refinancing? Want more information on the Home Buyers Plan? How about advice on adjustable term mortgages? Maybe you’re having problems getting a mortgage because you’re self-employed or you need special help arranging financing for an investment property. These are the kinds of issues a mortgage broker can help with and usually at no cost. Encore utiles, les courtiers ?